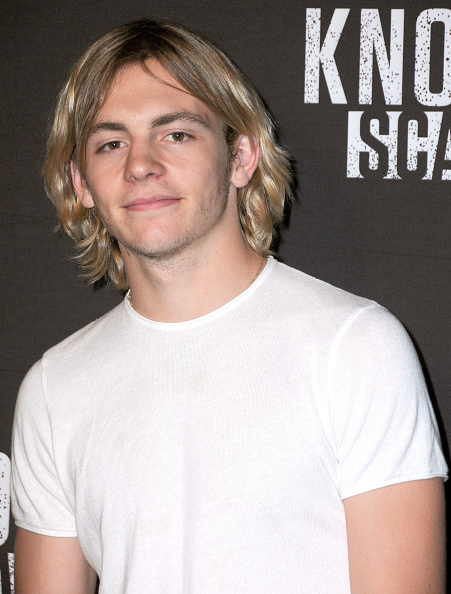 Ross Lynch has been slowly shedding his teen star image in favor of a more serious career. If you’re curious about his background, life, and Ross Lynch’s net worth, keep on reading. Ross Lynch is a teen heartthrob who’s part of the famous pop-rock band called R5. His acting credits are largely parts in Disney Channel shows and movies, but what do we actually know about him? Since yesterday was Ross Lynch’s birthday, we thought we’d dig in and look at where this teen idol has started, and where he might be going. We’ll examine his past, how he got to where he is, and everything in between. We’ll look at Ross Lynch’s girlfriend, his family, Ross Lynch’s age, and his work. If you want to know more, this Ross Lynch wiki is for you. Ross Lynch was born December 29, 1995. The second youngest of five siblings, he lived in Littleton, Colorado until 2007. Parts of the town of South Park were inspired by the town where South Park creator Matt Stone went to high school. In fourth grade, Lynch was homeschooled and also began to develop his musical talents. It was that year that he began to sing, and play guitar and piano. His second cousins are Dancing with the Stars dancers Julianne and Derek Hough. In 2007, Ross Lynch’s entire family moved to Los Angeles. Two years later, he, his brothers Riker and Rocky, his sister Rydel, and friend Elliot Ratliff formed the pop rock group R5. The first thing the group recorded was a five track EP called Ready Set Rock. It was released in March 2009 with no singles to speak of. At the same time, R5 launched a YouTube channel to document their journey to stardom. They followed Ready Set Rock with another EP, Loud. Loud which was then followed by a full-length album, Louder. Louder, establishing the band as chart makers. From there on, the sky seemed to be the limit. R5 began to tour bigger venues but the band found one minor bump in the road as they had to start juggling band life with acting life. The Lynch family had moved to Los Angeles as Riker Lynch wanted to pursue a career as an actor. Little did the family know that almost all of them would end up in the world of acting. Whether it be television, stage, or film, all of the members of R5, including Ross Lynch, started acting. Lynch began his acting career with a few music videos and then move on to the Disney Channel sitcom, Austin & Ally where he starred as Austin Moon, a goofy, fun-loving singer who becomes a star when he sings one of Ally’s songs. The two characters form a friendship, allowing Ally get over her stage fright, and the two fall in love. Austin & Ally would go on for four seasons and a total of 87 episodes. It was also during this period that Ross would also star in the Teen Beach Movie series of films for the Disney Channel. There ended up being two TV movies, Teen Beach Movie and Teen Beach Movie 2 which were a revival of the popular surfer movies from the ‘60s and did very well for the Disney Channel. Like many Disney Channel actors that have come before him, Ross has wanted to step out into a more adult acting career. The first major film debut for Ross Lynch is a movie called Status Update. In it, Lynch plays Kyle, a young man who has discovered an app that makes what he types into it come to life. Filmed in Vancouver, BC, it was on this film set that he met Courtney Eaton (more on her later). Ross has been very quiet about his personal life up until recently. However, it was recently revealed that he has been dating Status Update co-star Courtney Eaton. Courtney is an Australian actress who has appeared in Mad Max: Fury Road and Gods of Egypt. The two began dating in March of 2015. Ross Lynch’s pics with his lady friend can be found on Ross’s Lynch’s Instagram and other social media platforms. In terms of financial gains, Lynch has done really well for himself. Considering he is at a relatively young stage of his career, Ross Lynch’s net worth of approximately $2.0 million. His yearly income is estimated to be around $242,424 a year. Though there is usually a worry about young stars, it sounds like Ross Lynch has a good head on his shoulders, a good management team, or both.